Madewell & Ida Street are teaming up for a special event. Listen to this: Madewell + Champagne + Discounts + Brown Bear. You're not dreaming. This is real. Enjoy champagne, a 20% discount on purchases $125 & more & Brown Bear sweets. That's right. Click here to RSVP today (or send a note to rsvpkenwood@madewell.com if you have link problems!). & to get us all excited (like we need it with that lineup!) I've pulled a few of my current Madewell faves. Photos are all linked. a. high riser skinny skinny cut edge: Can you see the ankles? I love the rough cut. & the knees. & the high waist. Get in my closet. 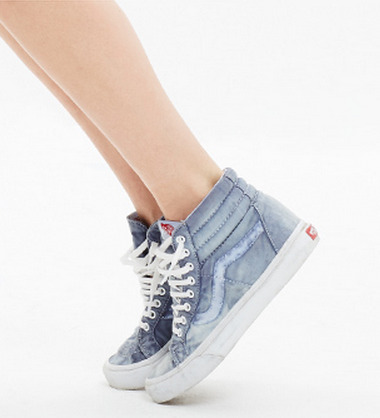 b. vans sk8 hi-top sneaker: My obsession with hi-top sneakers just won't quit. Gimme. 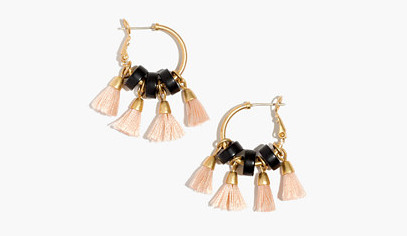 c. tassel hoop earrings: Aren't these fuN!? Ah I just love. d. indio sunglasses: I've been wanting a pair of light colored sunnies for years. & circle to boot. e. slub v-neck pocket tee: I have the white one. I want the gray one. I need the black one.